This is the place where you can come to track the action in The Total Abundance Movement and to contribute to the work in progress. This Workstation is the Hub for all of the Workstations for the Total Abundance Way of Life Projects that are currently underway. In The Directory of Total Abundance Way of Life Projects you can access the links that will take you to the Workstations for each Project. In the Project Workstations you can find out about the work that has been done to date and learn how to contribute what is yours to contribute to the Projects. A Total Abundance Project is any Source-Directed Project, large or small, short term or long term, that advances the work of manifesting The Miracle of Total Abundance for all beings. For the most comprehensive listing of Source-Directed Projects, you can reference The Overview of Total Abundance Projects where you will find a list of all of the Next Step Projects of The Heaven Project. All of these Projects contribute to manifesting The Miracle of Total Abundance. This Overview is in The Source Solution Hub. It enables you to search for Source Solution Miracles by the Causes that they have been created to address. In this Workstation, I will focus primarily on the Source-Directed Projects that are intended to develop a Total Abundance Way of Life. These Projects take the work on Total Abundance to the most practical level of how you think and act in your life in order to contribute to The Total Abundance Support System which manifests the Total Abundance Miracles that make Total Abundance possible for you and for all others. When you access a link for a particular Total Abundance Project, you will be taken to a Project page where you can learn about the objectives of the Project, reference the ongoing work on that Project, and find out how to support the work on the Project. NOTE: For a complete listing of all Source-Directed Projects you can go to The Source Solution Hub. The Projects listed in this Workstation are specifically designed to address the issues related to establishing and living a Total Abundance Way of Life. 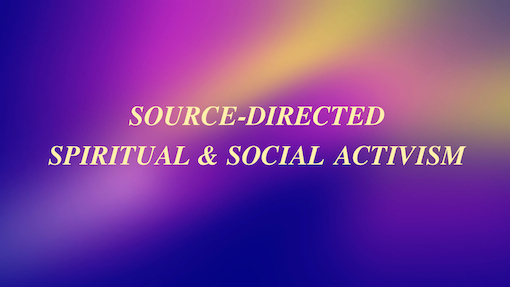 Sign up for Connecting receive updates on The Total Abundance Movement as well as on all of the Source-Directed, Spiritual Activism Projects and Campaigns that are a part of it. 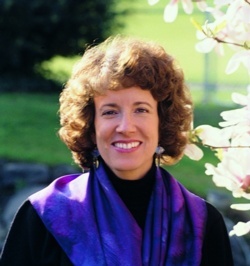 You will also gain access to Gifted Miracle-Based Training Materials that help you learn how to become a Source-Directed Spiritual & Social Activist.